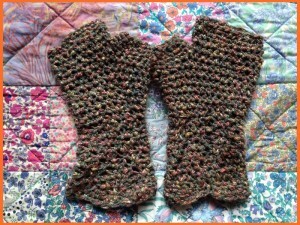 I did manage to make myself another pair of fingerless gloves/arm warmers! 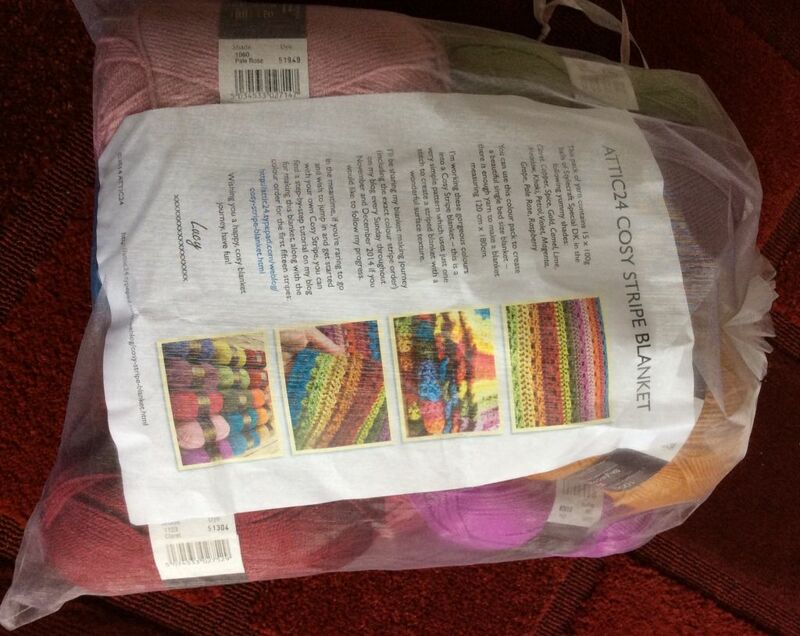 I am hoping my arm improves soon though as I was so taken with the warm autumnal colours in the Attic 24 Cosy Blanket I ordered the pack! It arrived in a couple of days in a lovely organza bag and I can’t wait to start it. 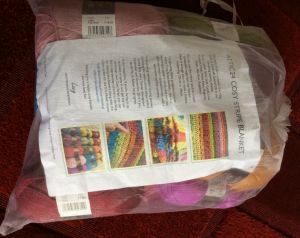 As yet I am not sure whether to make the actual Cosy Blanket which Lucy is doing as a CAL from next week, or whether to finally make the ‘As we go stripey blanket’ by Not Your Average Crochet which lots of people were making a few months ago? 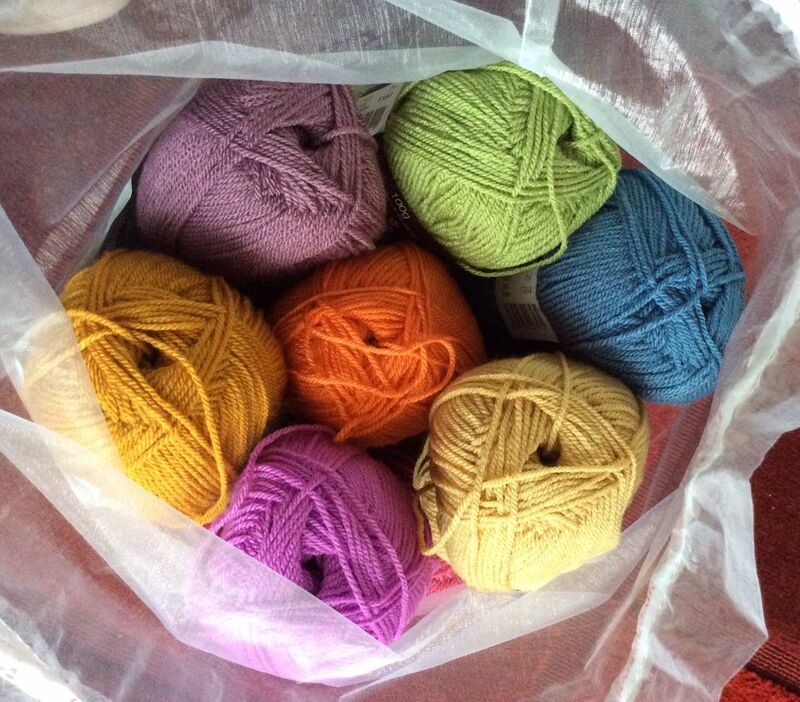 Wool Warehouse delivery in Organza bag! Hopefully by next week I will have made a start one way or the other! Now over to Handmade Monday! Wool, Coffee and Cake, a dream day out! 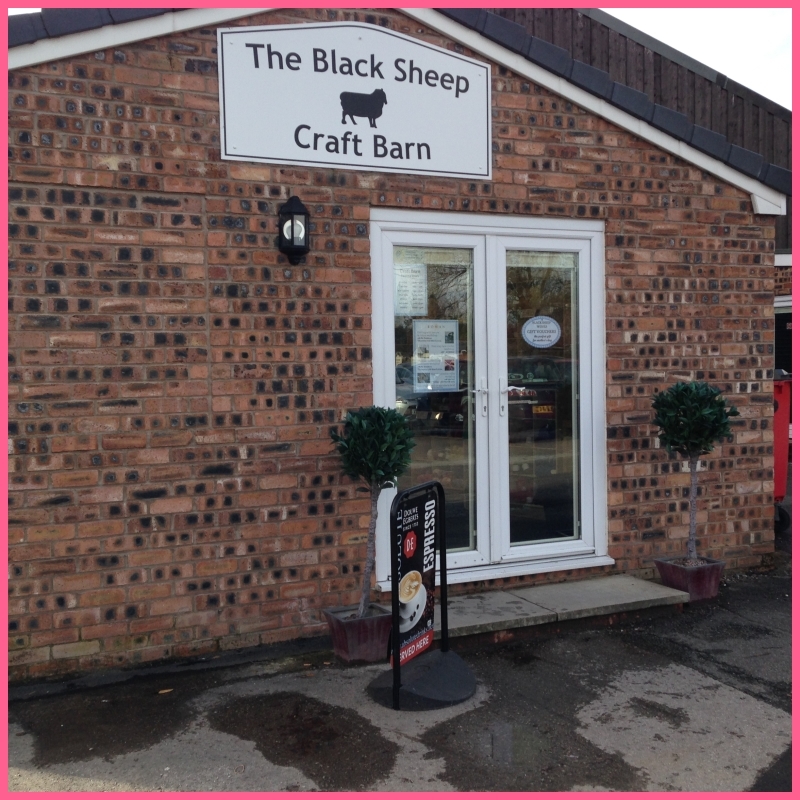 The craft barn is set back off the road in a lovely countryside setting, but it’s even more lovely inside! 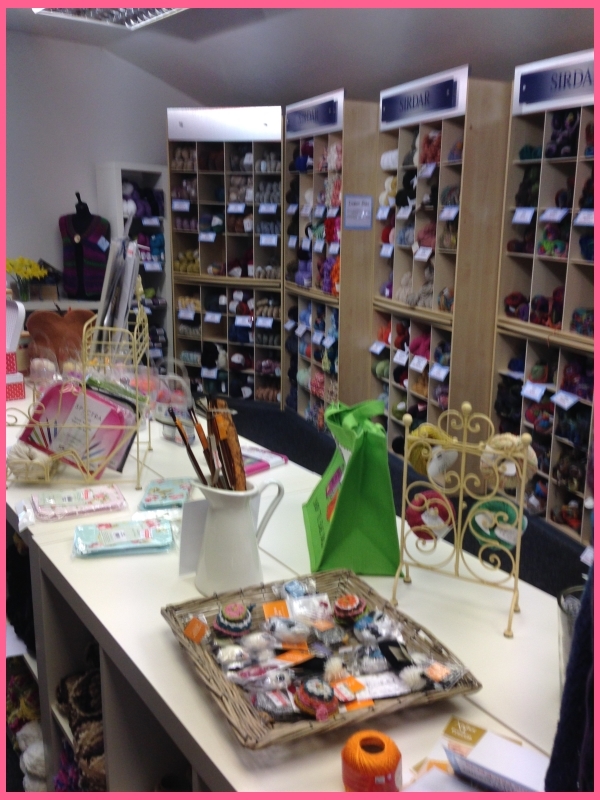 As you step through the door you can see shelves of pretty, delicate spring coloured wools and cottons on one side, shelves of beautiful variegated purply pink yarns on the other and a central stand with crafty items and gifts! Noro Yarns. 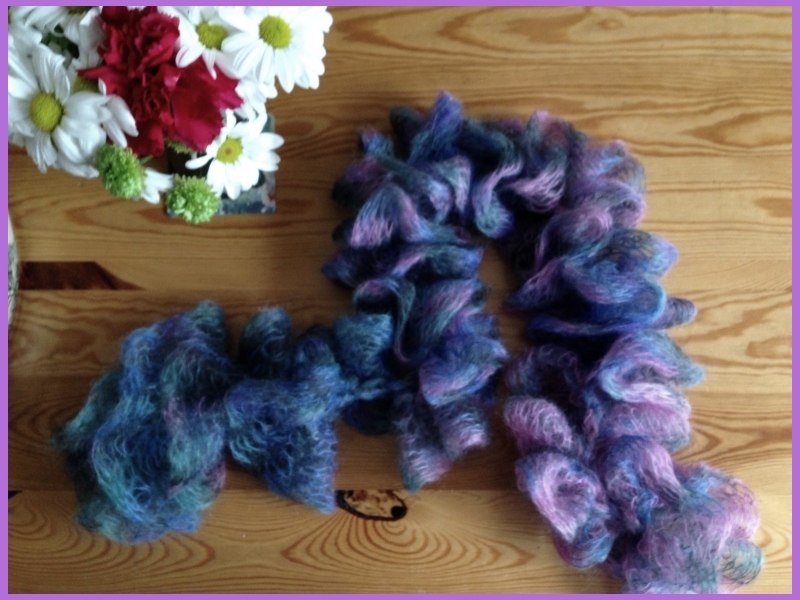 I love the variegated colours of these Japanese yarns! 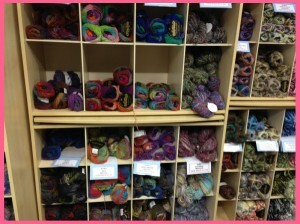 I was hard pressed to actually move through the shop as I kept getting distracted by yet another shelf of lovely yarns! 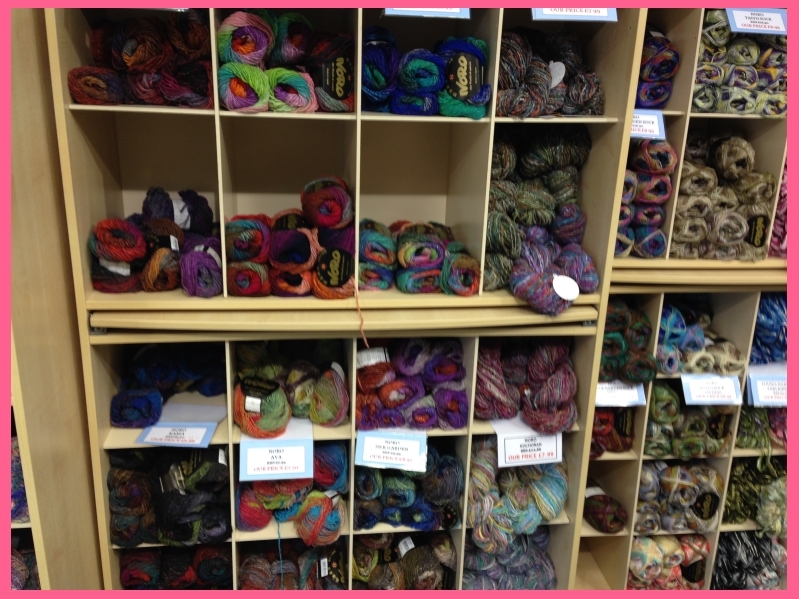 They sell a wide variety: wool, mohair, cotton, silk, viscose, acrylic, bamboo and various mixes of these in plain and varigated colours. 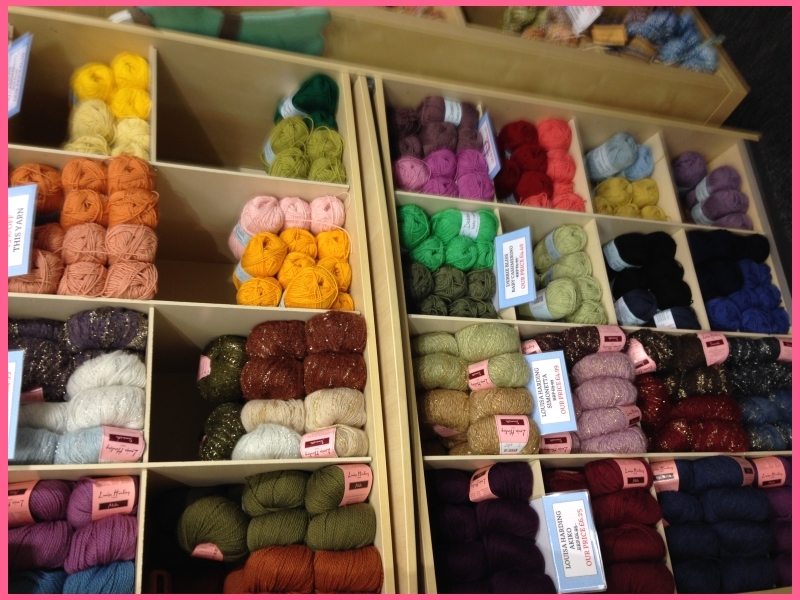 There is also a large section of Cross Stitch kits and threads, a wide selection of craft books and patterns and various notions to purchase. Mum and I always suss out a coffee stop wherever we go and so thoroughly enjoyed the onsite cosy café serving light lunches and cakes. We had a very nice panini and a slice of Victoria Sandwich cake with fabulously strong coffee, just how I prefer it! 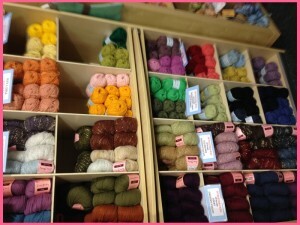 I’m quite happy to travel to visit new craft places but I do like it when there is a café so I can stop and reflect on all the things I’ve been browsing through before I make my purchases, especially when I’ve driven a while to get there! It’s the sort of place you could enjoy visiting with friends or a knitting/crochet group. I was very taken with a crochet designs book by Nikki Trench called, ‘Hooked on Noro’, Now although I like the look of Noro yarns some can feel a bit harsh and are quite pricey so this time I bought the book but chose an alternative yarn – Fusion Cotton – a soft, cotton and viscose mix yarn by Patons, very reasonably priced for the quality, with which to make the fingerless gloves from the book. 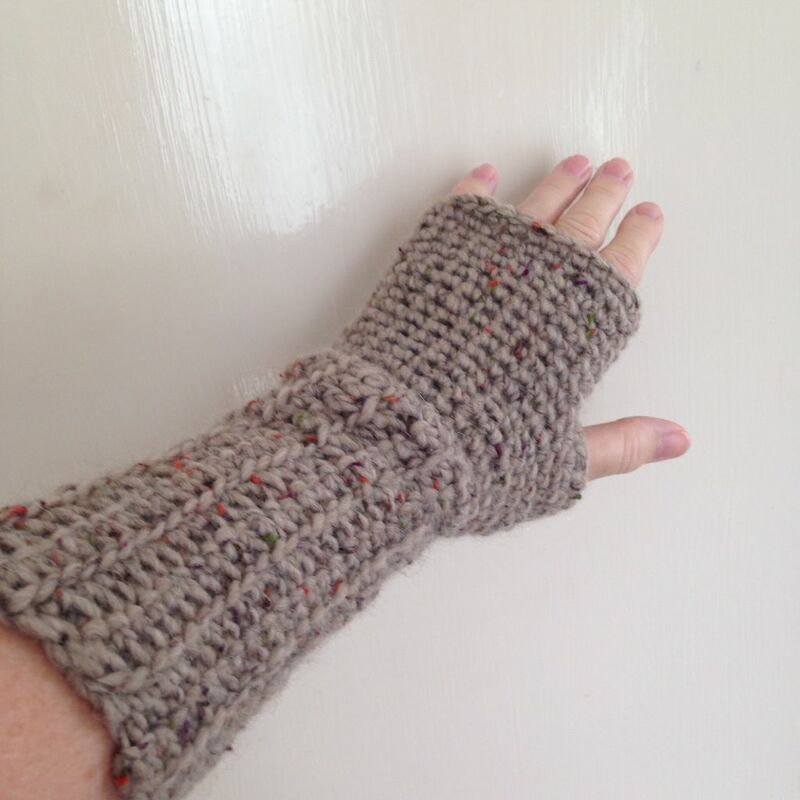 Mum wanted to know why I would want to have fingerless gloves?! 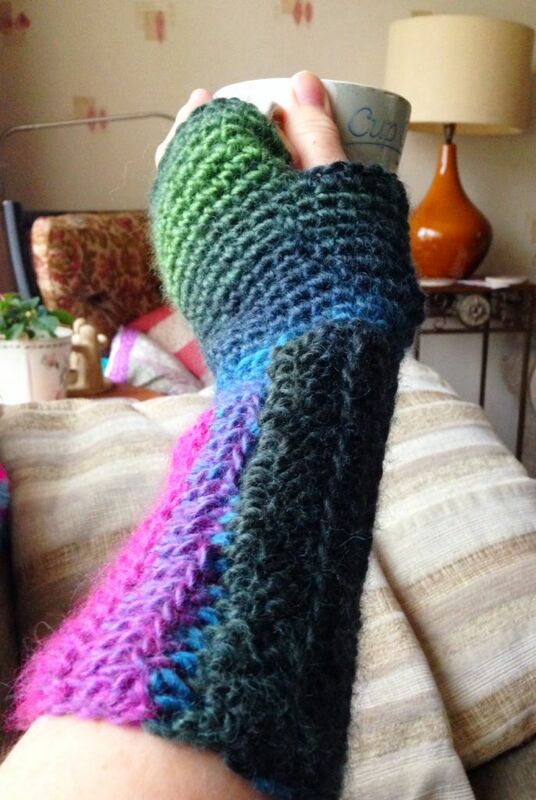 When I said they would be handy for texting, she just raised her eyes to the ceiling and said, “you could just pull off a normal glove!” – Eh? I don’t think so! 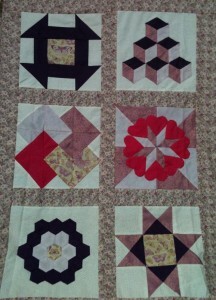 I love the pair I’ve just made and actually so did Mum once she saw them finished! 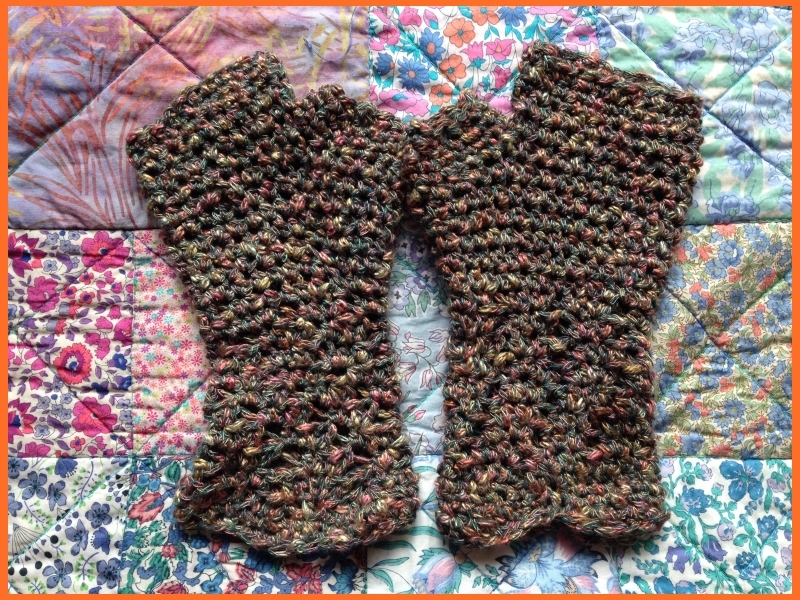 They are very comfy and soft to wear and the pattern in the book is easy to follow. 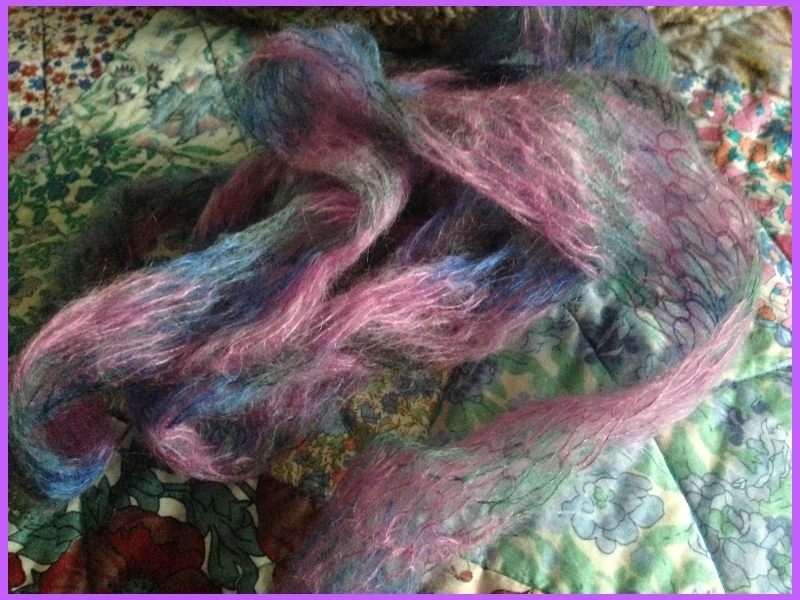 The final thing I bought was one skein of Rowan’s Kidsilk Creation Stripe. Now this is pricey, but absolutely gorgeous! It looks and feels like a high quality product. It’s actually mohair and silk mix and it already partly knitted into a long mesh, which can be stretched out widthways if desired. 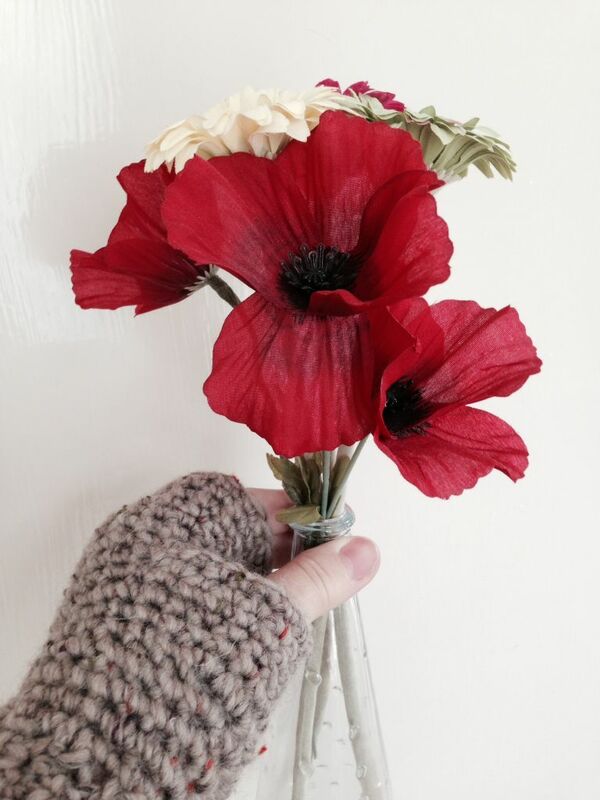 I noticed there was a pattern on the label to crochet a scarf with it but I couldn’t understand how you would do it! 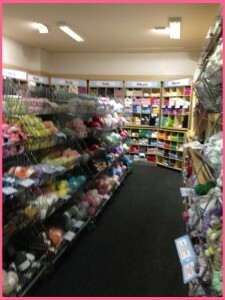 Luckily there are plenty of nice friendly staff to ask for help and one of the ladies explained I needed to crochet it up the long edge. However, I was completely flummoxed at first when I got home, but once I understood what to do it was very easy to make up in about three quarters of an hour! 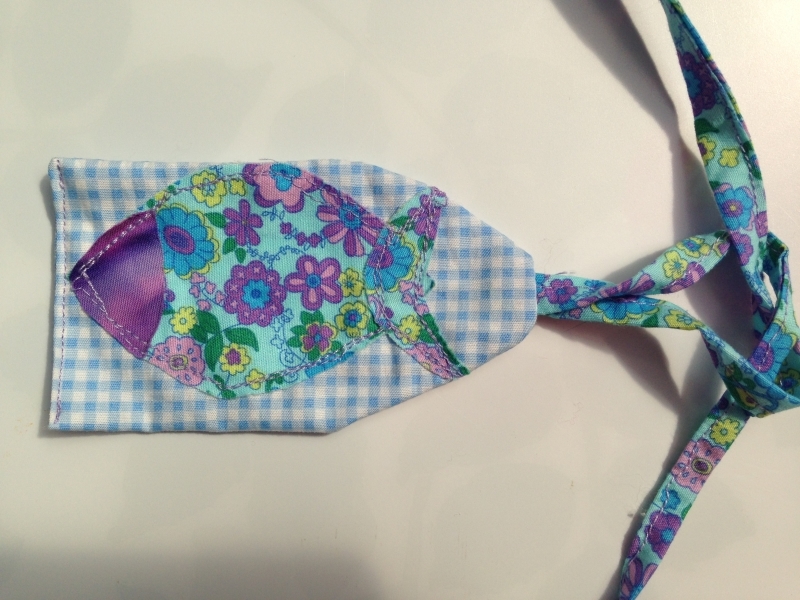 It ends up as a twirly, twisty floaty pretty scarf! I’ve taken some pics and will post a tutorial about how to work with this yarn as it’s certainly worth it! 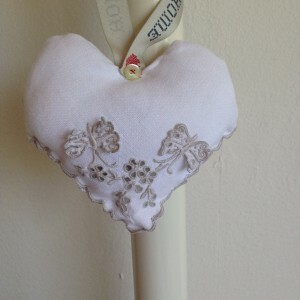 I chose a pinky purply mix and the finished item has now been posted to my very stylish Aunty for her 70th birthday! So all in all we were there just over two hours – it was long enough for Mum who by now was trying to nudge me to the exit! 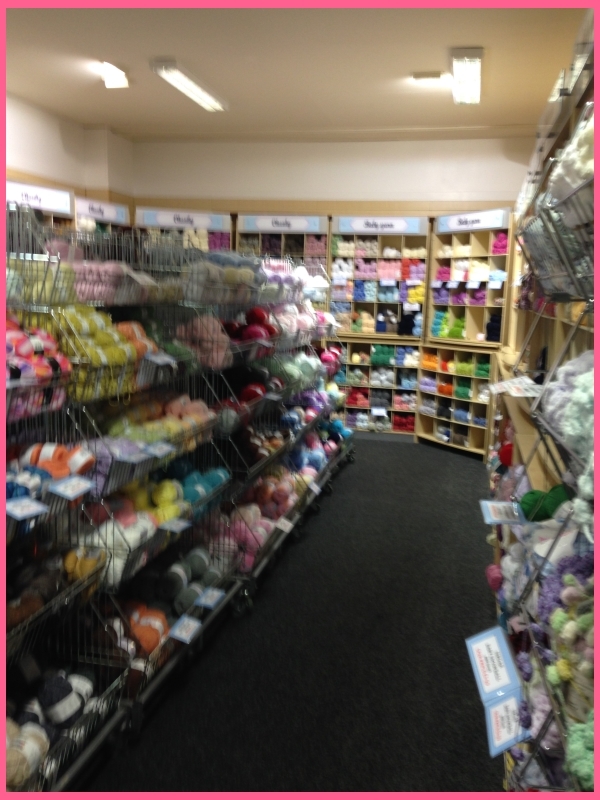 It’s the sort of place where you could keep going round and round oohing and aaahing and patting large balls of pink and purple wool! I always love to read comments. Please don’t be put off by the comment boxes for the name and site appearing to not let you type – it is actually recording your text and will show up once you publish your comment!